THIS RESTAURANT is located on rue du Luxembourg, in a beautiful building on a corner in the European quarter, It's open from Monday to Friday. The decor is both sober and classical. THE COOKING reflects their commitment to offering the clients quality products from good origins, whether from markets or small producers, which guarantees the freshness of the products. THE RESTAURANT'S MENU include 6 starters, 6 dishes and 6 desserts and is renewed every 6 weeks, in order to use seasonal products. was here many times and it is allways more than good. love it! A bit of a disappointment for the service and the preparation. Great exquisite dainty delicious menu..Great service and ambiance. Recommended. Each time better. The chef prepares excellent menus. The service is quick and very professional. 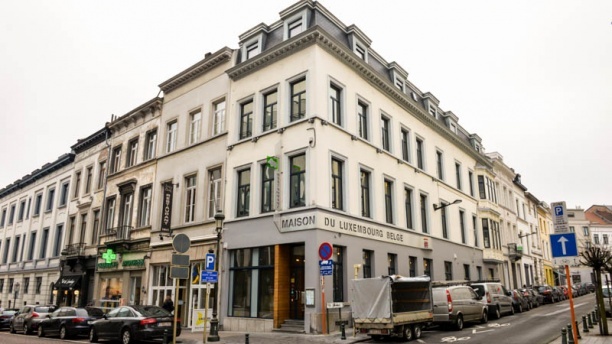 We chose Maison de Luxembourg because we wanted to be spoiled. The service, the food, and the atmosphere were outstanding. I love the food all over Brussels. Tonight I wanted a place where I was going to have a real tablecloth a real napkin and a server and staff that would take care of every detail to perfection. The chef was also awesome. The Belgian wine recommended by the server was very nice, and the free appetizers that came with the meal were a pleasant surprise and delicious. Overall just a great experience. Nice place. The wait staff were good and attentive. I would say the food was good but rather bland. the presentation is exceptional but the flavor did not hit me. We booked on the Fork and were promised 20% off but when we got there we were told that was only for the ala carte menu - disappointing. we did not go there for the discount but did feel a bit of a bait and switch. Only one red wine to choose from - luckily for me it was a good one. Overall a nice place and I think it has a lot of potential. We booked this restaurant because it was close to where we were staying in Brussels and had good reviews. We were not deceived: the food was very interesting, well conceived and well prepared. Prices were slightly expensive but in line with the ambience. A nice place for a special evening with good food and a cozy atmosphere. The only thing we didn't like was the wine. We opted for two glasses of red, since a whole bottle would have been too much, and we really did not like it. Unfortunately we didn't know that specific wine, and therefore are in no position to say whether it's the variety we just don't like, or whether it was not good even for that variety. At any rate, there were no alternatives in terms of red wine by the glass, and this is possibly the only area they need to improve.